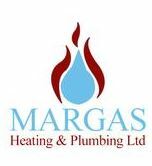 Margas Heating and Plumbing Ltd - Central Heating Engineer, Plumber based in Thurcroft, South Yorkshire. WE'RE A FULL-SERVICE HEATING AND PLUMBING SOLUTION. NO MATTER HOW SMALL OR HOW LARGE YOUR HEATING OR PLUMBING PROBLEM, WE'VE GOT A FIX FOR YOU. We're proud to say Margas Heating & Plumbing Ltd is at your service day or night. We have experienced technicians on-call 24/7 because no one decides when they have a plumbing problem. From routine maintenance to burst pipes, we're here to help.